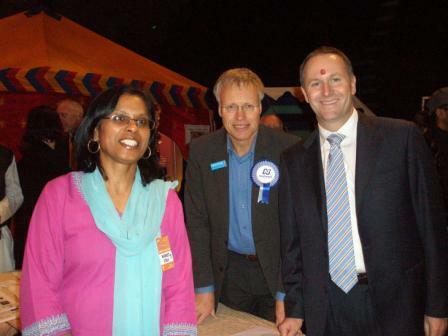 John Key, Pansy Wong and I joined the thousands of Wellingtonians who came to celebrate Diwali with the Indian community during the weekend at the TSB Events Centre. Cathy and I returned on Sunday evening for good food, the finalists of the colourful Bollywood dance competition and fireworks outside. So what does the red dot in the middle of his forehead denote? Half price at Farmers this week. Labour’s Wellington candidates should be unelectable.